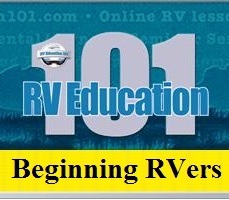 RV Converter Q&A by Mark Polk Just when I thought we thoroughly covered RV electrical systems I get another good question about something I failed to discuss in my previous articles. 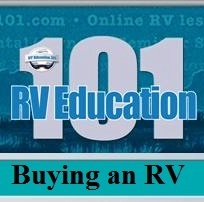 I received one of these good questions and thought there would be many other RVers who would like to hear the answer. 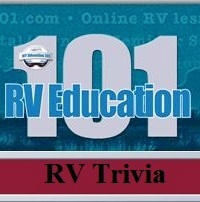 Question: In one of your previous articles you list the RV converter as drawing 5 amps. Since, I believe, the converter is operating any time you plug into a 120 volt AC system (30 Amp), does this mean that in reality you only have 25 amps to work with (30 minus 5 = 25, and not considering clock draws, etc.)? I am developing an electric amp chart to hang inside a cabinet and I need to resolve this question as this would make a significant difference. 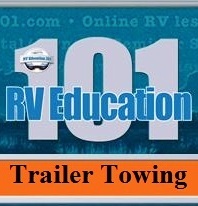 First of all let's talk briefly about what your RV converter does. When you plug your RV into an electrical source, or when you use the onboard generator, the converters job is to reduce 120 volts AC down to 12 volt DC to supply power to all of the 12 volt appliances and accessories in the RV. If you weren't plugged into an electrical source your RV battery(s) would supply the power to all of the 12 volt appliances and accessories in the RV. The converter basically prevents your RV battery(s) from draining when you're plugged in. 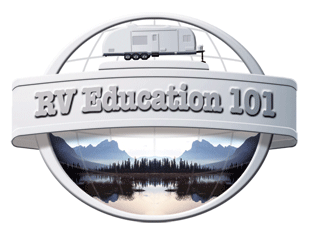 There are two types of amperage draw concerning your RV. The AC amps we are using and the DC amps we are using. I'll try to explain. When you plug your RV into an electrical source and use 120 volt appliances like the roof air conditioner, the microwave and a TV you are drawing amps from the available supply at the campground, usually 30 or 50 amps depending on your RV electrical system and the electrical supply you are plugged into. When you're plugged into an electrical source and you use DC appliances and accessories like fans, lights, pumps or the TV antenna booster you are drawing amps from the converter. Are you more confused now than when we started? Let's try wording this a little different. 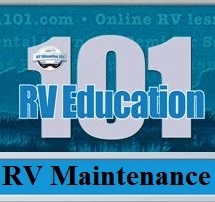 Let's say you plug your RV into a 30 amp electrical supply and you only use 120 volt appliances. You're using available amps from the 30 amp electrical supply for whatever 120 volt appliances are running, but the converter is drawing almost 0 amps because you're not using any DC accessories. It will use a small amount for items like the LP gas leak detector, clocks or maybe an aisle light, but not enough to really affect the amperage you are plugged into. Your RV converter is rated for a certain amperage i.e. 30 amps, 45 amps, 55 amps. In other words a 45 amp converter is capable of running 45 amps worth of 12 volt appliances in the RV. When your RV converter is working at its maximum capacity, which in this case is producing 45 amps for 12 volt appliances and accessories, it is drawing around 5 amps out of the 30 amps available from the campground electrical supply. Let's say you're plugged in and you're using a couple of 12 volt overhead lights (2 amps) and a ceiling fan (4 amps). In this case your converter is drawing very little from the campgrounds 30 amp electrical supply. In another scenario let's say you're using a lot of 12 volt overhead lights (8 amps), you're running the furnace fan (11 amps), water pump (4 amps), 12-volt television (5 amps), range hood fan (2.5 amps), and the battery is being charged by the converter charger (3 amps). Now, when the converter is running close to its full capacity it draws the full 5 amps from the campgrounds 30 amps, leaving you with 25 amps for other 120 volt appliances and accessories. As you can see it's unlikely that all of this would be happening at one time. The bottom line is the converter amperage draw will fluctuate depending on the 12 volt demand placed on it. Another question I was asked was; I know my converter is also a battery charger so why won't it bring my discharged batteries back to a full charge? RV converters do provide a charge to your RV house batteries, but only a small portion of the converters amperage rating is used for this. Normally 3 to 5 amps, which are not nearly enough to charge batteries that are discharged. The converter battery charger is designed to keep the house batteries topped off with this trickle charge. Another problem with older RV converters is they charge at a fixed voltage in the range of 13.5 volts. If your batteries are fully charged this can be too much for a float charge and over time it will deplete the water level in the batteries cells. This is why it's important to check the water level in your batteries on a regular basis, especially when you leave the RV plugged in for extended periods of time. You need a three stage charger that can provide a bulk charge then an absorption charge and finally a float charge. Newer RV converters on the market are capable of charging the batteries this way. Now, to help you out with your amp chart I am including some typical amperage draws for appliances and accessories commonly used in RV's. Keep in mind I'm not an expert on electricity by any stretch of the imagination. This is just a basic guide to assist you in how many amps you are using at any given time. If you need to know exact amperage ratings you can check the data plate on any motors, appliances or electronic equipment you are using. If you can't locate a data plate with this information check the appliance or electronic equipment owner's manual. This information might provide wattage requirements rather than amps. Here are a couple of simple formulas to help you convert some common electrical terms.